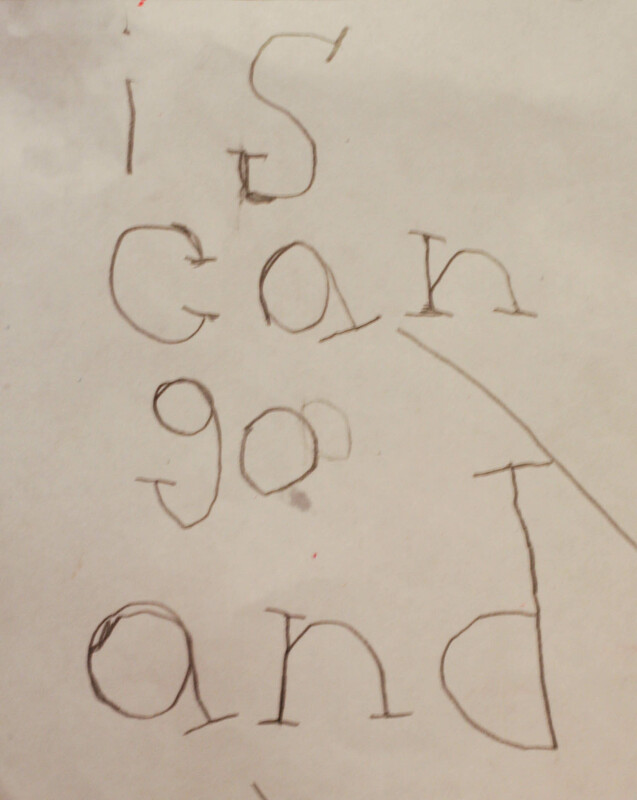 Carter: Mommy, I’m tired of writing the same sight words, so I’m gonna do ’em different, ok? Me: What do you mean by “do them different”? 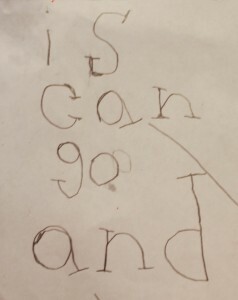 Carter: I was thinking maybe just a different font, ok? I love different fonts too! He has great hand writing too, BTW. so what font is this? tacoma? arial 12? helvetica? My kinda kid. I’m always on the hunt for new & fantastic fonts. This is CLEARLY “Georgia” with a maunually modified “A.” Nice work, Carter! Oh my goodness, that is the most adorable thing!